Really. The only environment he has available to test code is production?! Yikes. The OP has a decent rep and his questions and answers are rated well. Note that many of his questions are tagged PHP and Drupal. Drupal’s a PHP-based CMS, so it’s possible he manages content, occasionally writes a script, and rarely has a reason to touch an IDE. Testing code doesn’t require an elaborate setup. 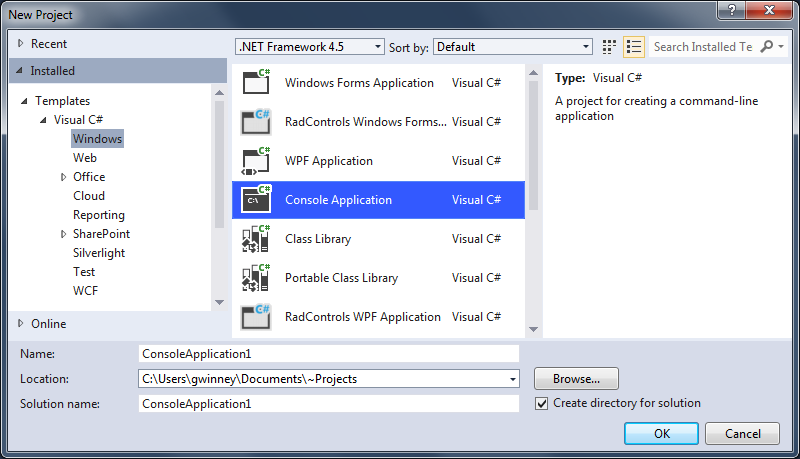 Here are a couple simple ways to try out some .NET functionality. 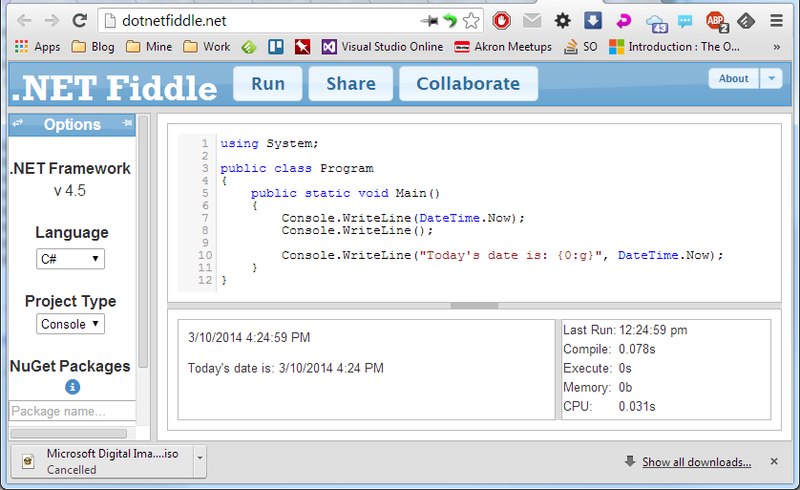 If you’ve just got a short snippet to try out, consider using .NET Fiddle, which allows you to setup an empty Console app and run code (C#, F# or VB.NET) online. Hey, you’re running in the cloud! How l33t are you? It even accepts user input via Console.ReadLine(), which makes it that much more useful. The drawback is that you can’t debug your code by setting a break point and stepping through it line by line. The next fastest way to test something (IMO) is to setup a simple Console Application. It’s got minimum overhead, and you can place break points and step through the code. 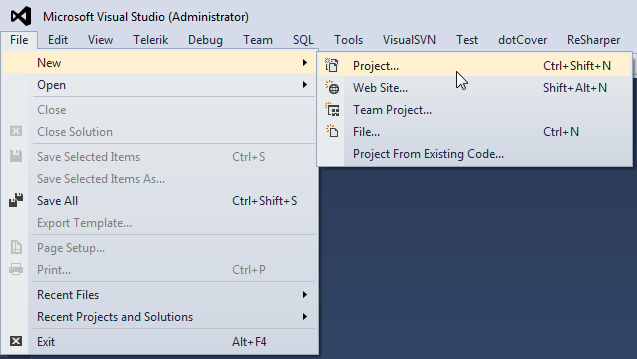 When you create the application, you’ll have one code file (program.cs), with the following contents. Insert a Console.ReadLine() statement, and keep it as the last line, so the console window stays open while you check out the results (if any) of whatever code you’re executing.